There is no way to guarantee that your dog will never bite someone. But you can significantly reduce the risk. Spay or neuter your dog. This important and routine procedure will reduce your dog’s desire to roam and fight with other dogs. Spayed or neutered dogs are much less likely to bite. Teach your dog appropriate behavior. Don’t teach your dog to chase after or attack others, even in fun. Your dog can’t always understand the difference between play and real-life situations. Set appropriate limits for your dog’s behavior. Don’t wait for an accident. The first time he exhibits dangerous behavior toward any person, seek professional help from your veterinarian, an animal behaviorist, or a qualified dog trainer. License your dog as required by law and provide regular veterinary care, including rabies vaccinations. For everyone’s safety, don’t allow your dog to roam alone. Make your dog a member of your family: Dogs who spend a great deal of time alone in the backyard or tied on a chain often become dangerous. Dogs who are well-socialized and supervised are much less likely to bite. If you don’t know how your dog will react to a new situation, be cautious. If your dog may panic in crowds, leave him at home. If your dog overreacts to visitors or delivery or service personnel, keep him in another room. Work with professionals to help your dog become accustomed to these and other situations. Until you are confident of his behavior, however, avoid stressful settings. Confine your dog immediately and check on the victim’s condition. If necessary, seek medical help. Provide the victim with important information, such as the date of your dog’s last rabies vaccination. 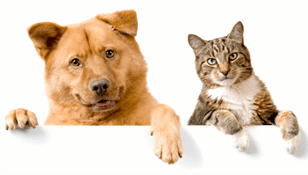 Cooperate with the animal control official responsible for acquiring information about your dog. If your dog must be quarantined for any length of time, ask whether he may be confined within your home or at your veterinarian’s hospital. Strictly follow quarantine requirements for your dog. If your dog’s dangerous behavior cannot be controlled, do not give him to someone else without carefully evaluating that person’s ability to protect him and prevent him from biting. Because you know your dog is dangerous, you may be held liable for any damage he does even when he is given to someone else. Don’t give your dog to someone who wants a dangerous dog. “Mean” dogs are often forced to live miserable, isolated lives, and become even more likely to attack someone in the future. If you must give up your dog due to dangerous behavior, consult with your veterinarian and with your local animal care and control agency or humane society about your options.